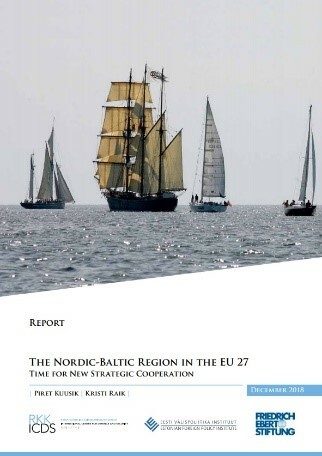 This report analyzes the shared interests and aims of the six Nordic and Baltic member states (NB6, consisting of Denmark, Estonia, Finland, Latvia, Lithuania and Sweden) in the EU, focusing on three broad areas: open society, open economy and shared security. The authors argue that, in a changing Union and an increasingly volatile global context, it is time for the Nordic-Baltic member states to cooperate more strategically in matters where common positions can be identified, such as protection of shared values, reform of the eurozone, free trade, digitalisation and regional security. Their cooperation needs to be flexible and open to like-minded countries beyond the NB6 group.